Buy your Phantom of the Opera on Broadway tickets before going to New York. You can easily buy your theatre tickets online, saving you money and time. 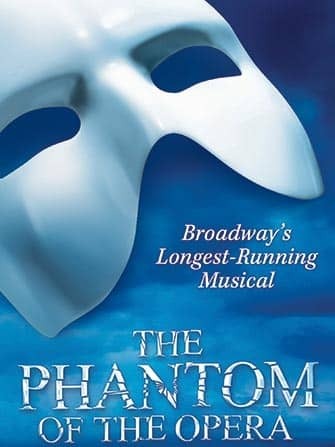 The Phantom of the Opera musical has performed in the Majestic Theatre, which is one of the largest and most stylish theatres on Broadway, ever since its opening in 1988. There is a reason why the musical is so popular. I definitely recommend going to The Phantom or one of the many Broadway shows when in New York as they are highly entertaining! 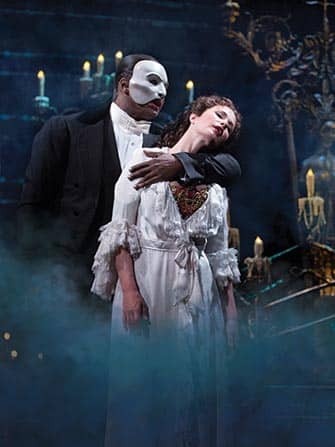 The Phantom of the Opera by Andrew Lloyd Webber is the longest running show in Broadway history.The Phantom of the Opera is based on the French novel Le Fantôme de l’Opéra by Gaston Leroux. It tells the story of a masked figure who lurks in the catacombs beneath the Paris Opera House and haunts everyone who lives there. He is madly in love with innocent young soprano Christine and devotes himself completely to her career. In 1881 in the famous Paris Opera House Carlotta, the Opéra’s resident soprano prima donna, is rudely interrupted by the “phantom” during her rehearsal. Refusing to perform that night, the owners of the opera house have a serious problem. Reluctantly they audition Christine, one of the chorus girls, who surprises everyone with her angelic voice. But how could they have missed her? And who has been teaching her? The show features amazing set designs, beautiful costumes and not to forget the impressive music by Andrew Lloyd Webber. 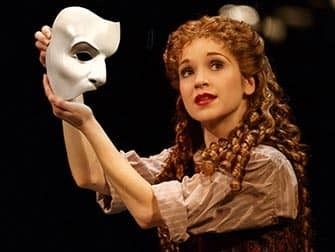 If you want to see a true classic, a musical spectacle, then you should visit The Phantom of the Opera. 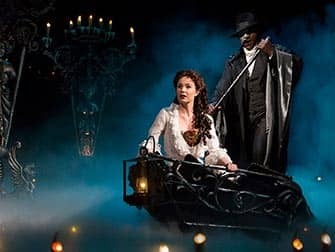 How to buy Phantom of the Opera on Broadway Tickets? It is easy to buy tickets for the Phantom of the Opera with the link below. I recommend buying tickets online before your trip to New York. Why? The website below guarantees great seating in Orchestra or Front Mezzanine for discounted prices. You will save time and money and most importantly you don’t have to stress about finding tickets when you are in New York. A lot of Broadway musicals are very popular and are often sold out. Don’t want to see the Phantom of the Opera?